The Government is instituting measures to revive the iron and steel industry to facilitate the country's accelerated growth and development, says Mr Alan Kyerematen, Minister of Trade, Industry and President's Special Initiatives. Mr Kyerematen stated this at the 24th annual charity and technology exhibition in aid of the needy. It was organized by Kristo Asafo (Christ Reformed Church) at Awoshie, Accra. 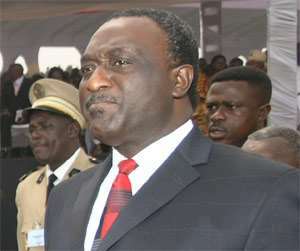 Mr Kyerematen said the time had come for government to give practical meaning and support to the initiative being embarked upon by Apostle Dr Safo, since countries such as India and China started in a similar way and had become emerging economic powers. Apostle Dr Safo, founder and leader of Kristo Asafo, said he was focusing his attention and efforts on the disadvantaged in society and has supported street children to be innovative and productive. Apostle Dr Safo also disclosed that he had started embarking on housing projects and the beneficiaries would be the poor. Professor Jophus Anamuah Mensah, Vice Chancellor, University of Education, Winneba, who chaired the function, called for the restructuring of the technical and vocational education system to enable it to provide the human resource and knowledge base of the country's industrial sector.